This Pinot Noir is one of the most tantalizing yet temperamental varietals in the world. It is practically worshipped by its fans and when it is done just right, it almost has supernatural appeal. 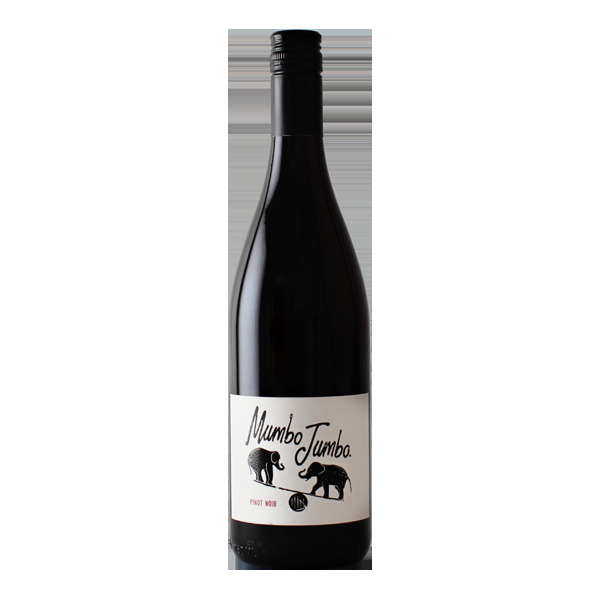 Our passion for the grape shows brilliantly in our Mumbo Jumbo, Pinot Noir. Hand crafted from select coastal vineyards in California, this wine is a perfect rapport of power and finesse. With a vivid ruby-red color and showing lush raspberry compote & bright red flavors of cherry and strawberry, this wine is harmony in a bottle. Silky tannins unravel intense flavors of savory asian spices & shaved truffle. The finish is long & balanced with toasty coconut, vanilla & a dash of sassafras.